WBCSSC SLST Online Application 2016; On 8th February, 2016 West Bengal School Service Commission has published intimation notice for conducting The 1st State Level Eligibility Test. As per previous notification WBCSSC published detailed information regarding SLST for Assistant Teacher Recruitment on 16 February 2016. Detailed Step by Step guide for SLST Online Form Fillup is described in this post. Detailed Form Fillup guide is being Prepared, It will be updated here soon. Keep visiting This Page. [All the information will be provided in Bengali through slideshow] By the way EXAM Venue List is provided please check the same. How to Apply Online for WBCSSC SLST 2016 ? Only Online Mode of Application is Accepted for SLST. you Should Visit The Official (www.westbengalssc.com) for online Registration of SLST 2016 Application. Link for Online Application will be activated on 19 February 2016. Fill all the Required Details & Generate Cash-e-Challan. Taking Printout of your Challan wait for 24 Hours and then Pay the fee in any CBS Branch of Allahabad Bank during Office Hours. The Bank employee will accept the fee and provide Journal No, Date of Payment, Seal & Signature and The Candidate's Part of Challan will be returned to the Candidate. Candidate Should Retain the Same for Further Need. After payment wait approximately 48 hours for payment realization. And Finally Print your Submitted Application Form. Detailed Step by Step Pictorial Guide with Screenshot will be available here shortly. Keep visiting this page for updates. Application Form related Queries : For Application Form related Queries Candidate Must Call to these numbers during office hours 033-2321-4550// 9051176500 //9051174600 //9051174700 //9830454218. Only for Bank Related Queries (Allahabad Bank) : Call : Ranjana Bhattacharya, 9874740518 and Sudeshna Mallick 8902710614. ‘Acharya Sadan ‘, Salt Lake. W.B. Regional School Service Commission. Sadhanpur, PO & District – Bardhaman, Pin – 713101. PO : Makdumpur, Dist : Malda , Pin : 732103. 84, Sarat Bose Road , Kolkata – 700026. Acharya Bhavan, PO & Dist – Bankura, Pin – 722101. District – North 24 Parganas , Pin -700124. 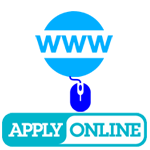 0 Comment to " WBCSSC SLST 2016 Online Application Process Detailed Guide via www.westbengalssc.com "